There are a lot of exciting things happening at Yuengling in 2018. We entered two new markets in the first quarter – Arkansas and Kentucky, welcome to the Yuengling family! 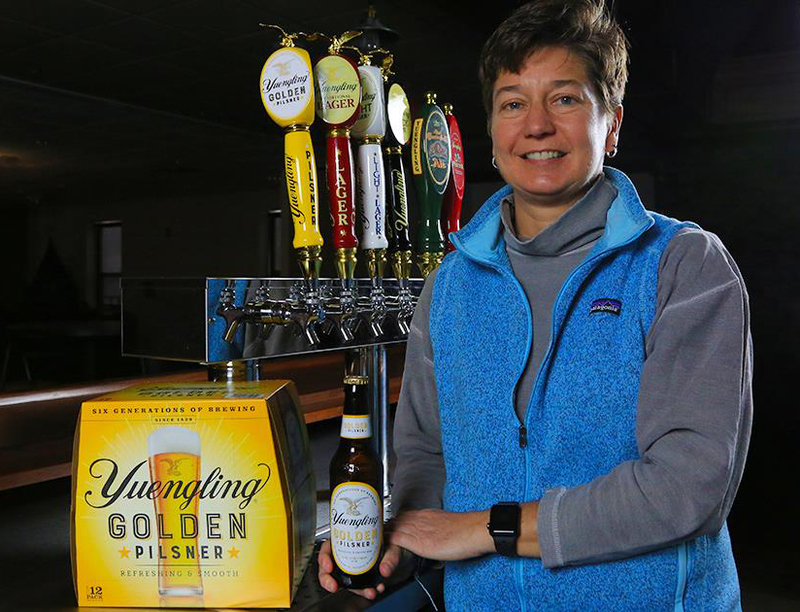 And we added a new beer to our core product portfolio, Yuengling Golden Pilsner, our first year-round beer in 17 years and the first new product from my sisters and me – the 6th generation of family brewing at Yuengling. The development of Yuengling Golden Pilsner was truly a collaborative process. We listened to our loyal fans and we saw an opportunity to deliver a new Yuengling beer that complements our core portfolio of iconic beers – Traditional Lager, Light Lager, and Black & Tan. It took us over 18 months to design our unique interpretation of a refreshing pilsner, with all of the qualities you have come to expect from Yuengling in a beer that is highly sessionable and full of flavor. We believe we’ve created a modern pilsner with the perfect balance of hop and malt character for crisp, smooth refreshment. An all malt beer, Yuengling Golden Pilsner combines pale and specialty malts, and Hallertau and Saaz hops, to create a bold, noble hop flavored brew with a smooth, clean finish. The balance of flavors and enhanced drinkability offers what we believe is a new standard in refreshment for beer drinkers. And at 4.7% ABV and 135 calories, we believe it is a great choice for outdoor, social and active occasions! We also love the design of the Yuengling Golden Pilsner packaging because it complements the design of our core brands’ packaging. The bright yellow gold and white colors reflects the color of Yuengling Golden Pilsner beer. Yuengling Golden Pilsner will be available across our entire 22-state footprint by the end of 2018. To find out if it’s available in your area just check our Beer Finder. And when you try it let us know what you think on Facebook, Twitter or Instagram. We want to hear from you! Enjoy Responsibly. © 2019 D.G. Yuengling & Son, Inc. All Rights Reserved. You must be of legal drinking age to enter. Are you over 21? © 2017 D.G. Yuengling & Son Inc. All Rights Reserved.